A few treasures I have found lately! Red high chair to match our red kitchen! Free on the side of the road! Yellow wire basket for storing towels! Love vintage finds! I love how this turned out! Linda used Amy Butler Love fabric from the Shoppe! Way to go Linda and thanks for the shout out! Full post here! I got these cute cards at the dollar spot at Target. Such a great deal. They were a little plain but I love craft colored paper, and the dots and stripes were cute too. I decided to throw on some ribbon and stamp it up a little, and turned them into these thank you cards. I figure i can't have to many of these around especially with the baby on the way. 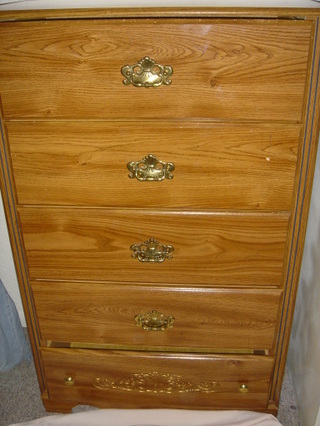 It is hard to find furniture that is quality yet not outrageously priced. 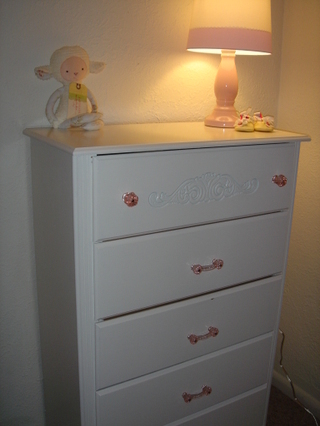 We had been looking for a dresser for the baby room for a few months to no avail! I have a hard time spending $200-400 dollars for particle board junk that seems like it will fall apart after a year! 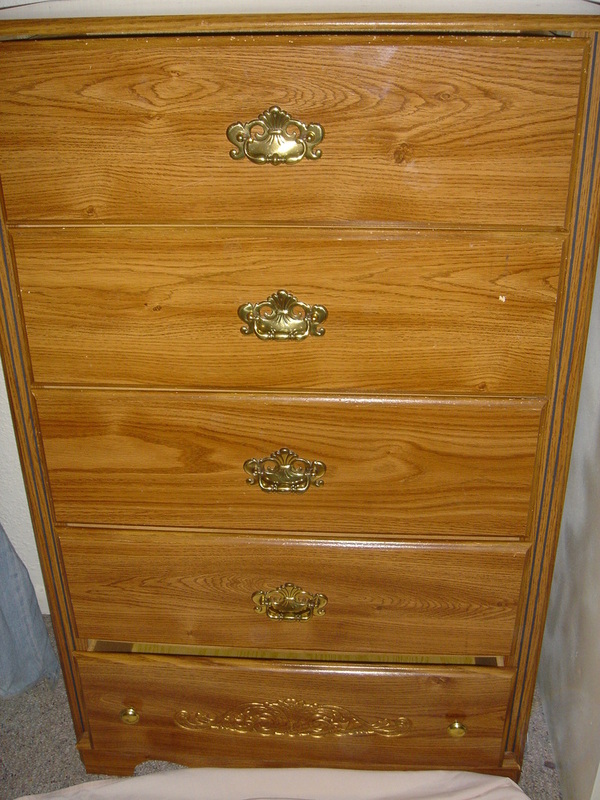 I finally decided to paint my Hubby's old ugly dresser, which we were going to throw away. I got Martha Stewart paint on clearance for $1.90 and bought reproduction pink glass hardware here and...amazing transformation! It's no pottery barn but i think it is pretty adorable!